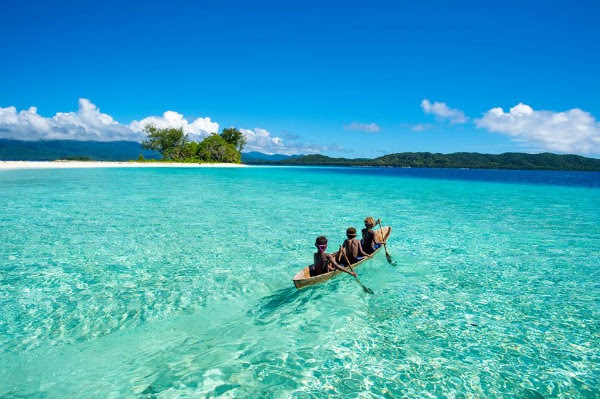 The interior of Malaita in the Solomon Island chain had a long history of opposition to missionaries and other outsiders. Many of them were killed by the Kwaio tribal group. But God had a plan to reach the Kwaio using missionaries from Fiji. “Yes,” one replied. 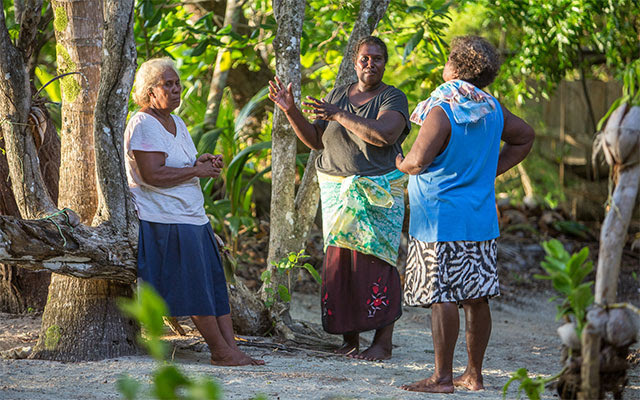 “It’s one of the most difficult areas in all of the islands to evangelize because of the rugged terrain and the hostile people.” An argument ensued within the team as they heard more about the history of the people group. Some were intimidated and urged caution. Cannibalism had been practiced until the end of the last century; who could be sure it had not ceased? The team finally agreed they would pray and fast for seven days before attempting to send a team to reach the Kwaios. With the help of two witch doctors who had become believers, a list of 87 different evil spirits were identified that were said to hold sway in the region. They pointedly confronted each demonic entity with focused warfare prayer over the seven-day period. On the eighth day, missionaries Jack and Japta joined ten other Christian workers on a day-long journey into the rugged interior of the island. About five o’clock in the afternoon they reached one village. There was a large assembly of people, indicating something unusual might be going on. The two men were quickly surrounded by large warriors, wanting to know where they were from and why they had come. Jack explained as quickly as he could in the Kwaio language that they were bringing the Kwaio people Good News. But the burly guardians led them away to be questioned by five village priests or elders. These were elders who had gathered in anticipation of the impending death of their chief. The strangers had arrived at a sacred moment and might be infringing on the customs of the Kwaio – a taboo of taboos that could meet with dire consequences. As the Christians were questioned, they could not help but notice that some of the large warriors standing near them had 24-inch machetes and some carried bows with poison-tipped arrows. Jack and Japta requested permission to see the chief, knowing it was customary in many villages to seek approval from the chief. Once granted, that would open up opportunities for their message to be heard. But the elders refused because their chief, Haribo, was dying. Seeing him was out of the question. Then one of the Christians had an idea. “When Jesus Christ came as the Son of God, He came not only to deliver men from their sins, but to heal sick people, too. God is quite capable of healing your chief.” In response, the elders began to argue among themselves. Jack and Japta spent the night locked in a hut, but at seven the next morning the elders returned with surprising news. They were granted permission to pray for Chief Haribo! When they entered the chief’s hut, they could see he was very old and weak, struggling for breath. Jack shared with him quickly God’s plan of salvation, explaining that Jesus was the only way to eternal life. The chief had a most amazing response. “I have waited my entire lifetime to hear this story,” he told them. “I have always felt there was some sacred message like this. But no one ever came to bring us such words. How can I receive this Jesus into my life?” Jack and Japta led Chief Haribo in prayer. A few moments later a profound peace transformed the countenance of the chief. But two hours later the chief died. For the rest of the day, his body was prepared for a traditional Kwaio burial. Meanwhile, Jack and Japta left the village and headed back to the coast. But as dusk descended on the village something shocking happened. Chief Haribo sat up and began to speak! “Let the elders gather,” he said to his startled hearers. When they gathered, the chief related an amazing story about seeing heaven. A being dressed in glorious white had taken him a great distance to the most beautiful place he had ever seen. A person called Jesus Christ, the Son of God the young men had told him about, was being worshiped by a huge crowd of people. Peace had come to his life, Haribo said, and he had no more pain, nor had he seen any suffering among the people who worshiped Jesus. The being in white told the chief he had to go back for a short time to tell the elders of the village that the message about Jesus was true. “This Jesus is the only way to experience eternal life,” he said. When the chief learned that Jack and Japta had left, he ordered runners to go after them and bring them back so they could preach to the rest of the village. When Jack and Japta returned they were astounded by what had happened. They presented the message of salvation again, this time to the entire village. Every person, including Chief Haribo’s immediate family of 21 members, received Christ as their Savior. And soon more than 300 villagers throughout the area (in 10 nearby villages) had surrendered their lives to Christ. Haribo remained alive all that night and into the next morning. Then he lay back down quietly in his earth bed and went to be forever with Jesus. Today, more than 8,000 Kwaios have become followers of Jesus, including 1,000 in the most remote areas. Pagan chief’s wife returned after death to tell the tribe to believe in Jesus.